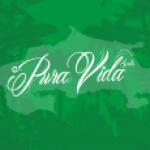 Here you can find all information about the cannabis breeder Pura Vida Seeds. We've collected data about 7 Cannabis Strains breed by Pura Vida Seeds. 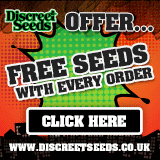 Click on the strains to find more informations, pictures, reviews, comparisons and sources for a variety - and/or check out the Breeder Info here at the page to find out more about Pura Vida Seeds. Its also possible to visualize all Pura Vida Seeds strains together with all their Parents or Hybrids with our dynamic maps - check it out! Click here to visualize all Pura Vida Seeds strains including all known hybrids and descendants with our dynamic map! Here you can watch all Pura Vida Seeds strains and their ancestors (sorted by origin) with our dynamic strain map! Pura Vida's breeding program includes landrace strains from Costa Rica, like Original Bri Bri, and other plants adapted to its climate like Cahuita Kush, which has been preserved and cultivated for over 25 years in one of Costa Rica’s National Parks.